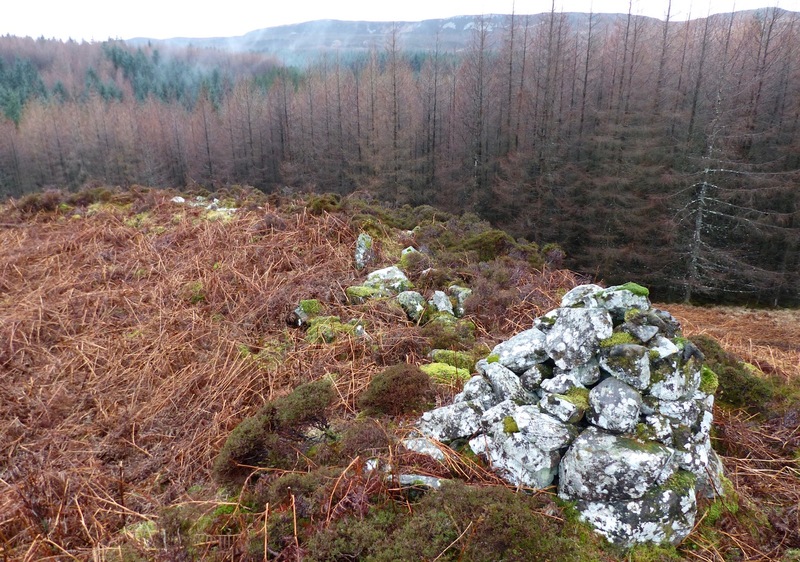 Last weekend, members of AHHA walked to the south of Swordle, into the forestry, to visit the Allt Sordail dun, a dun being a fortified site. There are several duns on Ardnamurchan, but this one is unusual in being away from the coast. The reason for its inland location may be that it commanded one of the routes across the peninsula, though any sign of a trackway is now lost in the plantation. Follow the link here to find more about the dun.